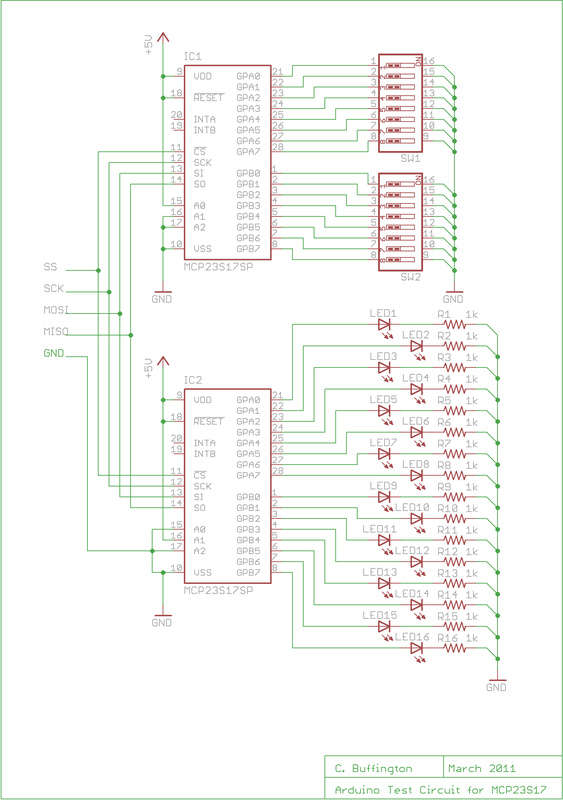 I would like to use 7 MCP23S17 as output expanders on one SPI bus. Every IC has its own address from 0 to 6. The first MCP23S17 can be written with no problem. The second chip did not work properly. The CS pin of the MCP23S17 is set like at the all other 4 ICs. 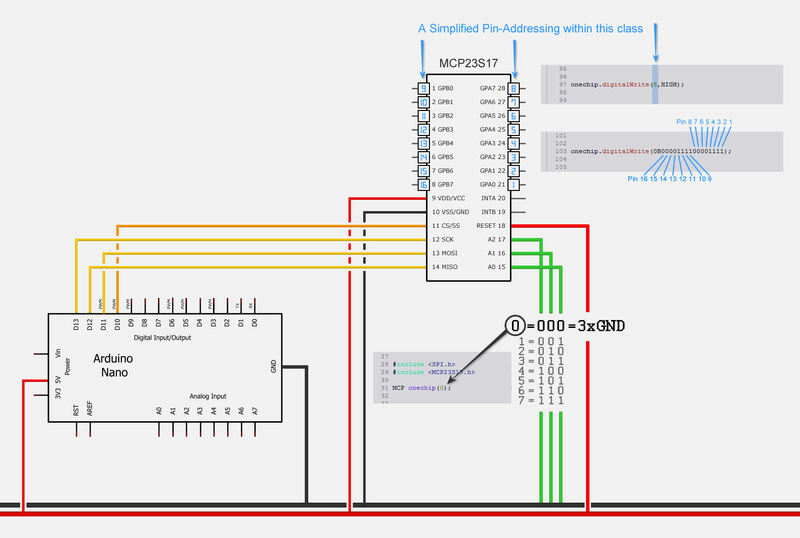 Does anybody have experience with more then 4 MCP23S17 on SPI? Could anyone help? Not the answer you're looking for? Browse other questions tagged arduino-nano spi or ask your own question.